Robot programming is particularly difficult in the case of complicated tasks requiring complex operations in three-dimensional workspaces where those operations are also coordinated by the information from sensors. And even for relatively simple tasks performed by currently produced industrial robots, the cost involved in their programming can be comparable to the price of the robot itself. Consequently, it is only natural that methods for simplifying robot programming are a priority issue. 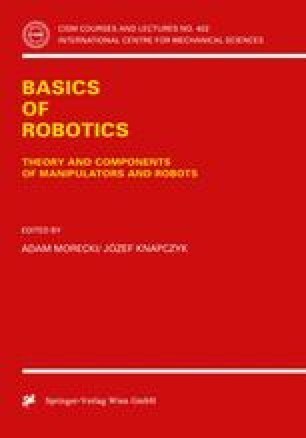 Treating a robot’s operations only in terms of results on the objects of manipulation seems to be one way of solving this problem. For instance, it is easier for a user to define an operation: “place the pivot in the hole” than specify the sequence of manipulator motions required for achieve that result.